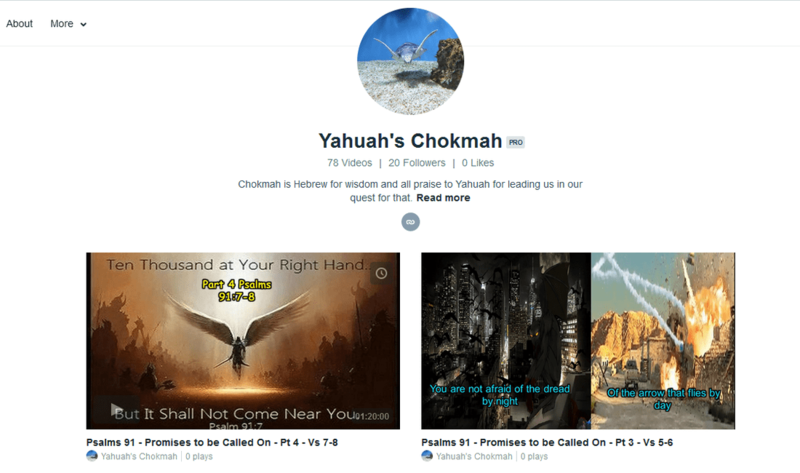 Welcome to Yahuah's Oasis, where it's all things Yahuah !! We have videos on Vimeo for all the PDF studies, scoll down for easy access to our Vimeo site. Praise music and all downloads are free, you can also see the music videos at our YouTube site, scroll down for easy access. We hope you'll visit often and let us know what you think or any ideas to make this site better. Also if you send us your address, we'll send Yah's bracelet. Blessings!!! We've also added the Ethiopic version of Enoch - restored with Yahuah's name as well as no other pagan names. It is under the Enoch tab. You can find all the videos for the PDF's at our Vimeo site. You can find all our Praise Music videos at our YouTube site.